Coaching services specialising in triathlon and endurance sports. A consultative approach that develops more intuitive athletes to make better decisions regarding their own training. Book yourself a Skype chat. Ben has multiple years’ experience of triathlon & endurance sports coaching including coaching clinics and training camps. Through his own coaching business of 5 years, Fitness Locker, he has been a provider of coaching services & inspiration to athletes and health & fitness enthusiasts across New Zealand & abroad. Fitness Locker's mission is to reach out to more athletes & fitness enthusiasts with their own developed specialised environment, offering an extended range of services that extends beyond the traditional realms of coaching. They have an established national network with a global influence of athletes, coaches & other sporting practitioners, and endeavour to make this more accessible to groups & individuals. 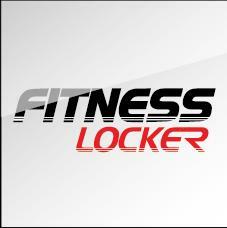 Fitness Locker provides an environment whereby athletes can achieve their sporting goals in a fun and competitive environment. Success. Coach Benjamin Eitelberg has been notified of your message.